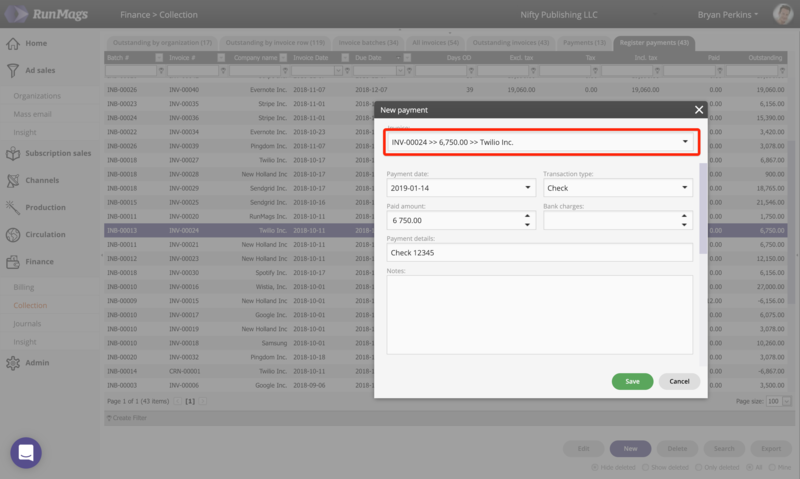 There are two ways you can record a payment to balance out an invoice. 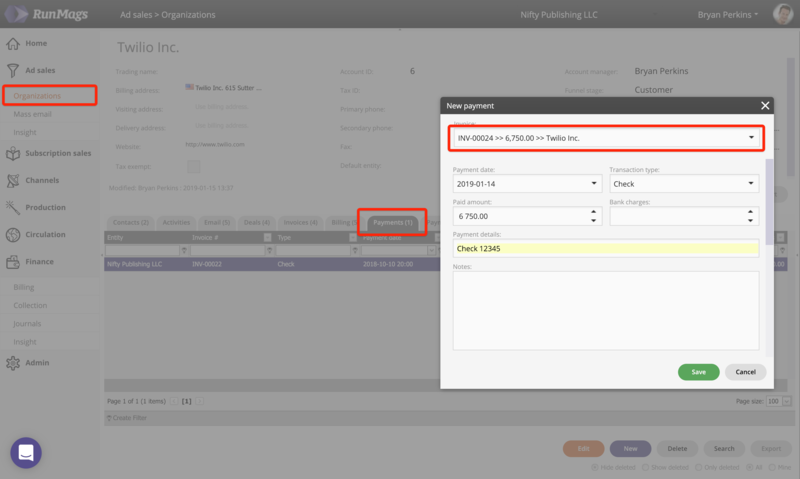 There are two ways to record a payment: from the Finance module and from the Ad sales module. Go to Finance >>> Collection, then open the Register payments tab. In the Register payments tab select the invoice you want to register a payment for and then click the New button at the bottom right. In the window that opens up, select the invoice you want to record a payment for. Fill out the other form fields as appropriate and then click Save. 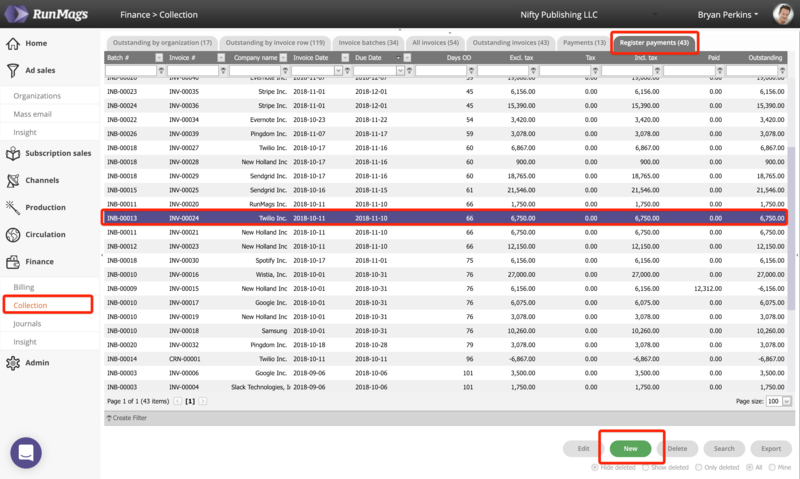 A user with Ad sales access can manage their client account and also register payments if needed. Go to Ad Sales >>> Organizations and locate the client you want to register a payment for. Open the Payments tab and click the New button on the lower right.